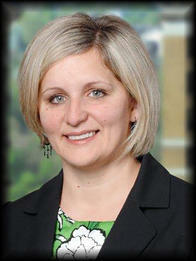 Lucy has over 20 years of extensive experience in the financial industry. As a vice president and business banking relationship manager for Fifth Third Bank, she is responsible for managing bank relationships for companies with annual revenues between $2MM - $20MM. Lucy aims to become the strategic advisor of business owners looking to improve the financial productivity of their enterprises. She provides valuable financial services and solutions including access to capital, cash management, payroll processing, payment services, and other financial solutions. Lucy has a long and diverse history of success delivering key strategic initiatives, while building strong relationships. Her philosophy is to always keep the customer at the center of all she does. Lucy earned her bachelor’s degree from Northwestern University. She lives in La Grange, Illinois with her husband and their three daughters. She likes to spend time with her family camping, gardening and traveling.